Standing in front of a crowd of five hundred people could cause even the bravest of us to break out into a sweat. That moment on stage, however, is when Amanda Silcoff feels most comfortable. Music has always been a huge part of Amanda’s life. Singing and playing the piano made her feel at home. 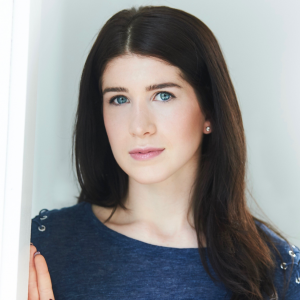 Amanda Silcoff grew up in Toronto and participated in youth training groups and community theatre productions outside of school. She went to Sheridan College for the Honours Bachelors of Music Theatre Performance Program and was recently featured in the Toronto Fringe Festival. She is now performing in a touring production of Grease. Amanda hopes to continue to grow as an artist and inspire others to reach for the stars in anything they do.